So, today I felt like crocheting, but didn't want to pick up where I left off (of course!). 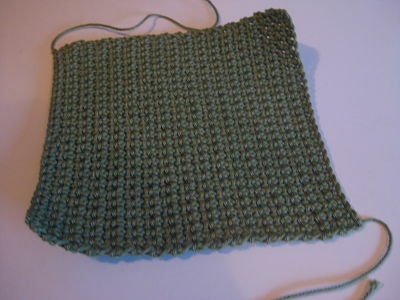 So I started something new, I decided I wanted to use green cotton and then decided to crochet a business card holder. But then why do I need another card holder. Hmm, what to do. Then inspiration hit.... 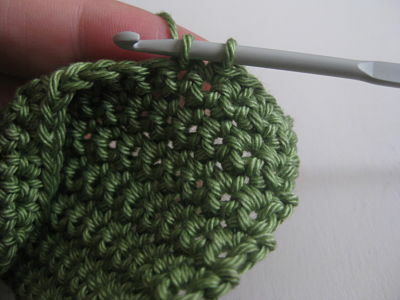 I'll crochet a green square and submit it to the Envelope Project from Meet Me At Mikes blog. 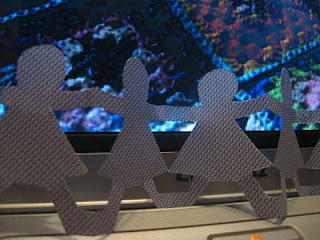 So yep, I've submitted a green crochet square then cut out some adjoining paper dolls (recycled from an old envelope). So, they'll be in the post tomorrow Pip! Oh and by the way, for the first time in the history of Rie's crocheting.... I actually blocked the piece. - it had to happen eventually!